Dell is no stranger to Chromebooks. In fact, the Dell Chromebook 11 is our current favorite Chromebook for students with its simple, durable black frame and attractive price tag. 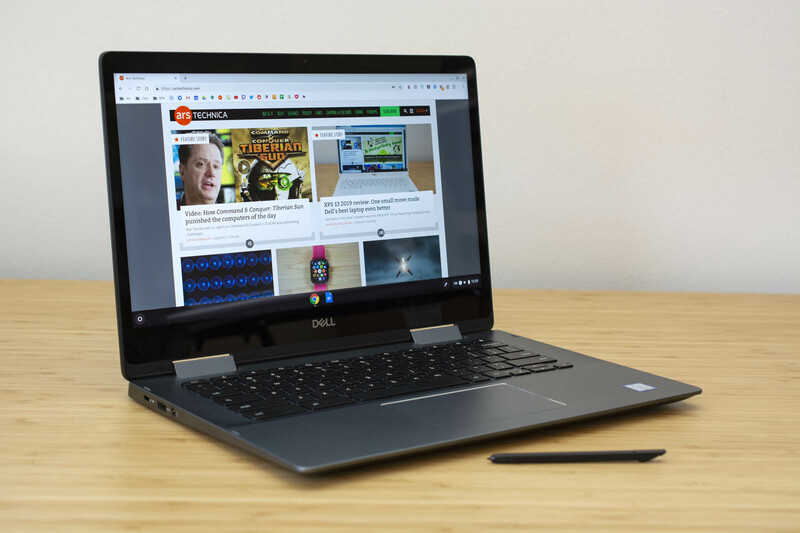 Most of Dell's Chrome OS notebooks share those useful traits, so when the company stepped out of the box and debuted its $599 Inspiron Chromebook 14 at the end of last year, my interested was piqued. This device isn't the penny-pinching plastic laptop that so many think of when they hear "Chromebook." Instead, it follows the new trend of high-end Chrome OS devices designed to offer alternatives to Google's own $999 Pixelbook. Since Dell already makes numerous Chromebooks that are generally solid, I was curious to see how the company would fare making a premium Chromebook. These are niche devices that have to tick certain boxes to even come within the same range as Google's own Chrome OS devices, so I spent one day with the Inspiron Chromebook 14 to see just how premium the convertible actually is and if it's worth the extra money. The heft of the Inspiron Chromebook 14 surprised me when I first heaved it out of the box. It weighs just about four pounds, making it noticeably heavy when compared to other Chromebooks. Even our current favorite premium Chromebook, the Acer Chromebook Spin 13, doesn't weigh that much. Chrome OS is a "light" operating system that's designed to run nimbly on scant hardware, so I question why any Chromebook would be so heavy.